What role does technology play in modern society? Why do huge crowds gather, captivated, to hear the latest words from leading technological mavens like Steve Jobs? And who among us didn't spread the word and join in discussion when the iPad was so ceremoniously launched a few weeks ago, debating how much it would change our lives as we know it. When would you use one? Where would you use it? What problems would it solve? What joy would it bring? 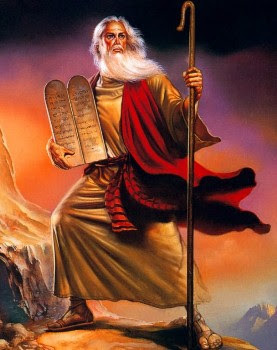 It's interesting how the role of technology in today's world has become analogous to the role that magic, religion, wizards and soothsayers once played in ancient times. "What's wrong, or at least interesting, is why some of us expected so much more from a new gadget. I suspect this is because for some people, myself included, technology has become a kind of religion. We may not believe in God anymore, but we still need mystery and wonder. We need the magic act. Five centuries ago Spanish missionaries put shiny mirrors in churches to dazzle the Incas and draw them to Christianity. We, too, want to be dazzled by shiny new objects. Our iPhones not only play music and make phone calls, but they also have become totemic objects, imbued with techno-voodoo. Maybe that sounds nuts, but before the iPad was announced, people were calling it the 'Jesus tablet.'" People have always been enthralled with the idea of using magic and extraordinary phenomena to exact greater control over the chaotic world around us. The feeling that life is unpredictable has always existed, be it the fear of sailing into a storm in the Mediterranean Sea or getting lost on the way to the hottest new restaurant. 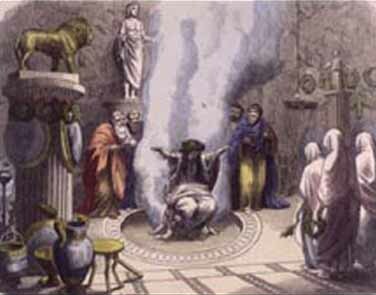 In ancient Greece, people never made any major decisions without first consulting with local soothsayers or priests, seeking the approval or advice from the gods. The most famous bastion of magic and advice was the Oracle of Delphi. Both kings and farmers would go on pilgrammages to seek guidance from the Pythia who sat on a tripod deep within the Temple of Apollo, which sat atop the foreboding Mount Parnassus. The Pythia would inhale the gases that arose from a crack in the earth below the tripod - said to be from the rotting carcass of the dragon Python, slayed by one of Apollo's arrows. The Pythia then entered a frenzied state, shouting the will of the gods in a language only the priest of the temple could understand. Those seeking advice would be given a cryptic message from the gods and were left to interpret it as they saw it. The price they paid for greater control over their future (in this case, through knowledge)? The path up the mountain to Apollo's temple, called The Sacred Way, was lined with the finest treasuries in all of Greece - a steep price to pay indeed. But how are these treasures any different than the $500 to $800 one will have to lay down for the ability to surf the Internet and read magazines on a beautiful 10-inch screen? 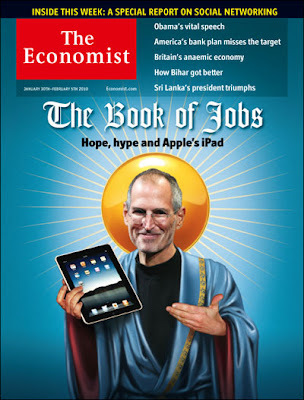 Technology is the modern day equivalent of magic, and Steve Jobs is the modern day equivalent of the priest at the Temple of Apollo. He's a modern day Merlin, or Moses coming down from the mountain. When he speaks, people listen. And when the iPad is released, people will gravitate towards it. Not because of the shiny screen, or the battery life, or the content. They'll want it because of the hope that it will somehow change their lives for the better. They'll want it because of the sense of control that comes with adding entire libraries of books and magazines to the information that was already at their fingertips. And they'll want it because at the end of the day, the iPad - like the prophetic power of the Pythia - still has the power to capture a sense of wonder within all of us. We all need a little magic in our lives, don't you think?